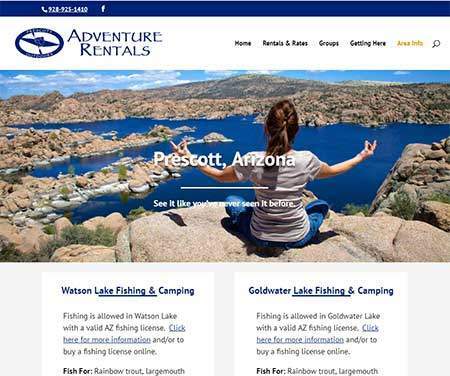 Prescott Outdoors came to us requesting a new website that was able to get their message to the website visitor, while at the same time reflecting the adventure and wonderment of Prescott’s outdoor features. Prescott Outdoors asked us to recreate their existing website in such a way that it would pop and convey their message. They also wanted to be able to perform all updates as needed. We used Divi, a WordPress theme that the client was already experienced with. This allowed us to keep things consistent for the client, and negate any learning curve. Edited previous website content to work with new design. Wrote new content as needed. New site was built with search engine best practices so that customers can find the website in search engines.